WDWGN! is a programme of online exhibitions at VASA Project that has been led by Rui Goncalves Cepeda since 2013. This programme of exhibitions is build around the subject and authority of "geography" as a battleground between distinctive contemporary ideologies and the contested conceptual territories of contemporary photography. Evolving around those two key conditions, the series of online photography exhibitions associate the physical and mental states of the body and of the being: they address the energy essential for the long journey, as being a “journey of phases in which the thought we are immersed in is invalidate” (borrowing from Prof. Irit Rogoff thoughts expressed in her essay What is a Theorist?, from 2006), as well as the contested territories of contemporary photography in a digital-democratising age and its limitations in terms of narrative capacity. This two years programme, running from October 2013 to September 2015, has engaged with visual narratives and stories brought by photographers and artists from different cultural backgrounds, while interacting in a dialogue was contextualised and spoke to a global audience. 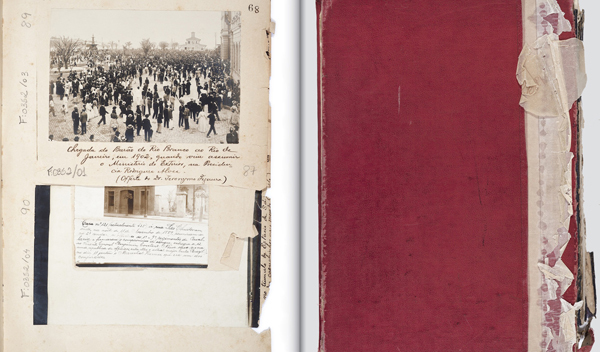 If with photographers, such as Délio Jasse, Carlos Palma, Jane and Louise Wilson, and Adam Chodzko, Rui has navigated through the dynamics of loss, of giving up, of moving away, and of being without – as was expressed in the essay ‘What is a Theorist?’ –, with the works of Larson & Shindelman and Nadine Fraczkowski he has focused his attention on the bodily and mental states springing from being in time and space; whereas, with the works of Cristina Lucas, Rosângela Rennó, and Marisa J. Futernick, he has crossed in to the possibilities of actions existing externally in deliverance, convergences, anxiety, destruction, deceleration, deficit, and chance.